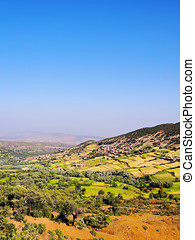 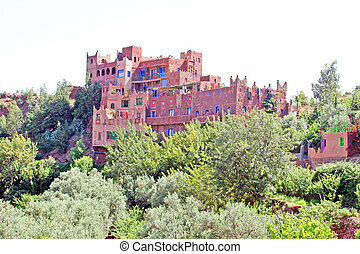 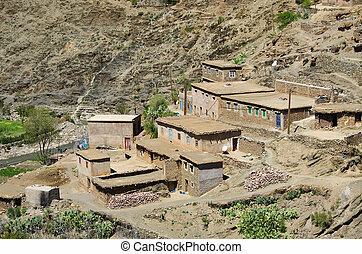 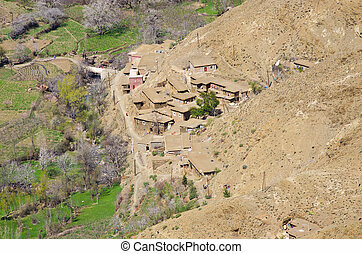 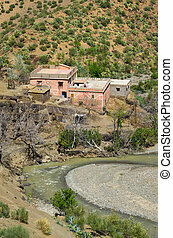 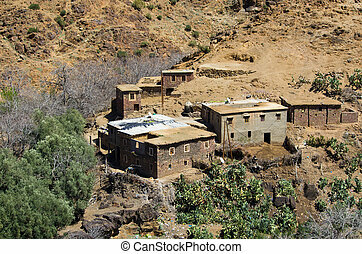 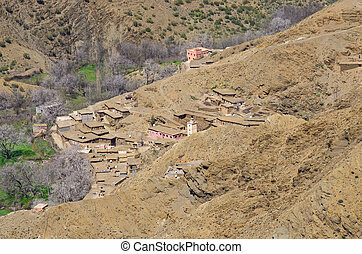 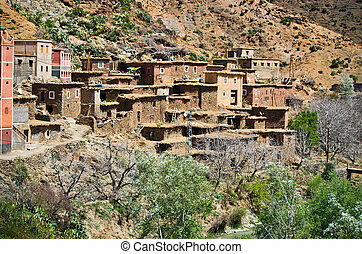 Panoramo of a village in the Atlas mountains, Morocco. 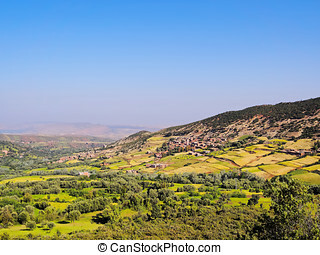 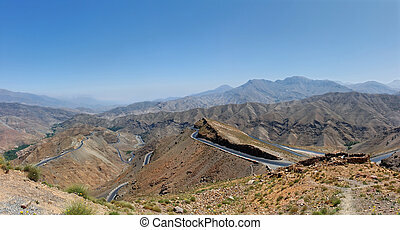 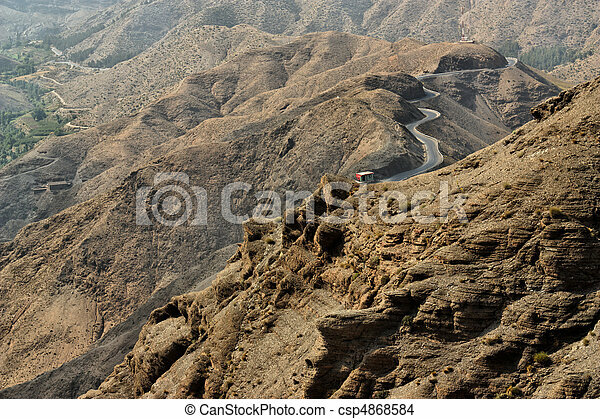 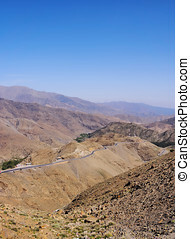 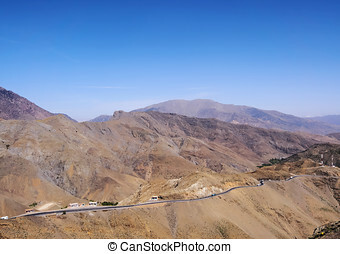 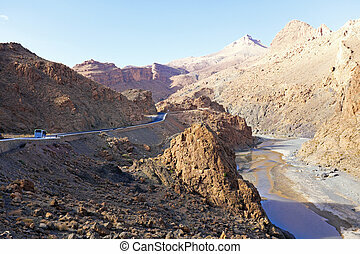 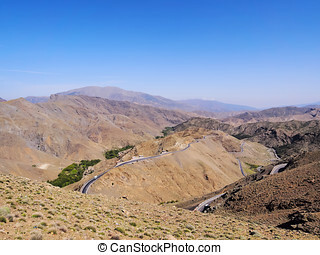 Panorama of the Dades valley, Morocco. 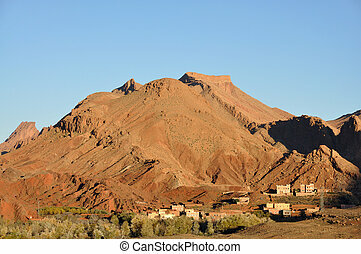 Panorama of the Tinerhir Oasis, Morocco. 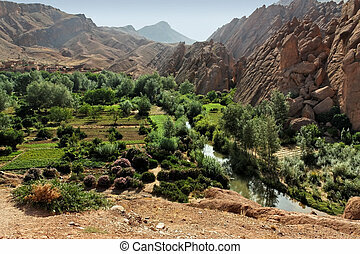 A panoramic view of the Tinerhir Oasis, Morocco. 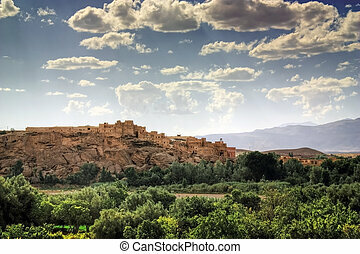 Panoramic view of Ait Ben Haddou, Morocco. 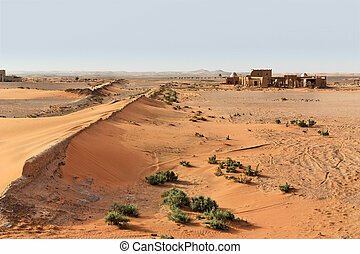 Abandoned village in the Sahara desert, Morocco. 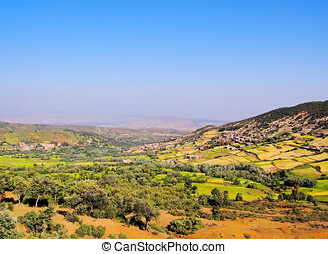 A panorama of a Moroccan kasbah with some trees on a summers day. 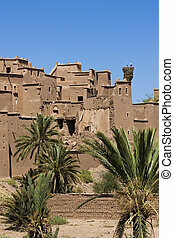 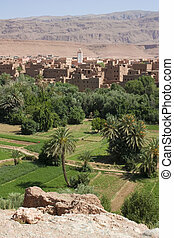 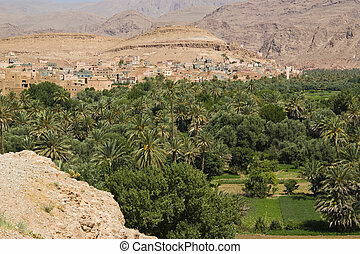 A view of a Moroccan kasbah with some palm trees.